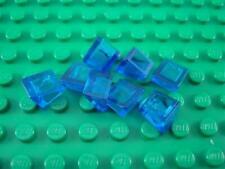 You will receive 100 Random TRANSPARENT LIGHT BLUE Authentic Legos smaller pieces! Each piece will be hand picked and will be randomly selected unless notified before purchasing! You are buying one set of Lego ten Transparent Bright Green Power Burst bricks. These bricks are fresh from the box/bag and in mint condition. You will receive 100 Random TRANSPARENT CLEAR Authentic Legos smaller pieces! Each piece will be hand picked and will be randomly selected unless notified before purchasing! The pieces are in good used condition! Each LEGO part is inspected and cleaned. Used parts. Will not have any large scratches or. See all of our LEGO here! (1) 87552pb014 Trans-Black Panel 1 x 2 x 2 with Side Supports -. (1) 87552pb011 Trans-Light Blue Panel 1 x 2 x 2 with Side Supports -. Lego Doors, windows And Translucent Blue And White Windows And Garage Doors. Condition is Used. Shipped with USPS Retail Ground. You are buying one Lego 10x6x4 Transparent Yellow Windscreen Curved brick. This brick is fresh from the box/bag and in mint condition. Price shown may not be correct. New parts and deals are always being added. 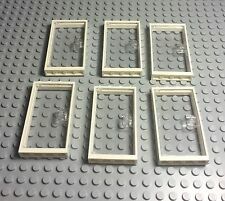 Lego 4 Pieces new Trans-light blue Windscreen 1x6x3 / Truck Windshield Parts. Lego Pick a Brick Cup (Small). 10 Snap on Lids. You are buying two Lego 4x2x3 Transparent Orange Shell Rock bricks. These bricks are fresh from the box/bag and in mint condition. Lego new MOC City black revolving door parts contents X2 pieces black 8x8 round tile with 4 studs in the center. You are buying ten Lego 2x2 Transparent Brick Round bricks. These bricks are fresh from the box/bag and in mint condition. Lego X10 new assemblies Black Window Frame 1x4x3 With Trans-clear Glass Opening Parts Lot. There are a few tears/attached tape on the inside of the lid. 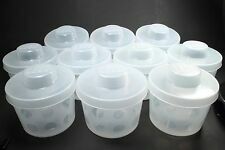 LEGO X25 pieces new transparent Cylinder 2 x 2 x 1.66 with Dome Top / trans-clear Bulk Parts Lot. (2) 57895 Trans-Clear Door/Window Glass 1 x 4 x 6. CONDITION: Each LEGO part is inspected and cleaned. Used parts. See all of our LEGO here! nick from play. Will not have any large scratches or. 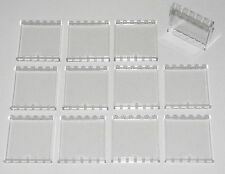 Lego windscreen 2x6x2 trans-clear x12 pieces total,will sold as used because these parts gained some scratches from sorting,for combine shipping please request a total. Lego City Train - 50 Clear Windows - new Condition !! Lego - 1 x 2 x 2 Clear Train windows. New condition. Qty of 50. Great for custom Creations or detail work. New condition, only handled for the picture. Lego new Black 3 Panes Frame 1x4x6 With Trans-clear Glass X6 And With trans-clear glass Door X2 With Black nozzle part for handle,to get combined shipping make sure to go Ebay full site and from cart click on “request total from seller” so I can send you a new invoice for payment,thank you. Each lot includes a random mix of 100 translucent Lego pieces. In good used condition! Photos were taken from our large inventory to show the main types of pieces you may receive in these lots. We're easy to work with; communication is key. Lego X4 pieces New Trans-clear Windscreen 1x6x3 / Vehicle / Car / Truck Windshield Parts. Lego X24 pieces new City Trans-light Blue Garage Door Sliding Roller Part Pieces Bulk Lot. 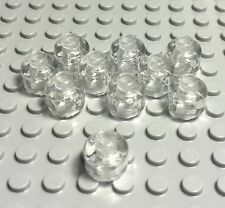 LEGO Translucent Clear Brick 1x2 25 picked from this huge lot Excellent Cond. 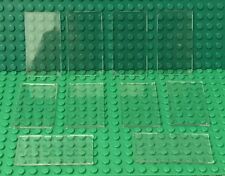 LEGO Translucent Clear Brick 1x2 lot of 40 pieces picked from this huge lot Excellent Condition. 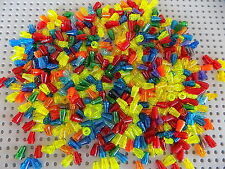 LEGO Translucent Mixed Colors Brick 1x2 lot of 25 picked at random from huge lot. This sale is NOT for the entire lot shown in the photos but for 25 pieces. Due to photography lighting, color may slightly different. Baseplate in photo is for scale and contrast and is not included in the sale.